This is the fourth in a five-part series contrasting the ways our society could handle end-of-life care moving forward. Medical bias is real, and it could affect anyone. What happens when medical bias is paired with a seemingly cheap and simple solution: doctor-prescribed suicide or euthanasia? In a perfect world, a doctor examines a patient, finds the underlying cause of the problem, and uses the best treatment available for that particular patient. However, our world is not even close to perfect. Every patient is different. Every individual has their own unique health circumstances, and they come from different races, cultures, sexes, classes, etc. Not only do each of those groups have their own unique health concerns, but our medical system has been proven to treat them differently, often without being aware of it. Medicine is not like building a car in a factory with a set of unchanging instructions; personal interaction between patients and caregivers often determines whether a health problem is even identified. Some health problems are not well-understood, and some remain essentially mysteries. Sometimes an underlying health problem may be misunderstood or ignored, leading to a wrong diagnosis or no diagnosis at all. The best treatment is not always obvious. Individuals may respond differently to the same treatment. When you add culture, the human body, and flawed and unique individuals together, you get an extremely complex situation. The opportunities for even subtle bias from well-meaning physicians to effect outcomes is large. Unlike cases of employment or housing, mistakes due to bias in medicine costs lives. We can't fix such a complex system overnight. We can strive to be aware of medical bias and to work to fix it the best we can. The one thing we shouldn't do is ignore or even exacerbate medical bias. 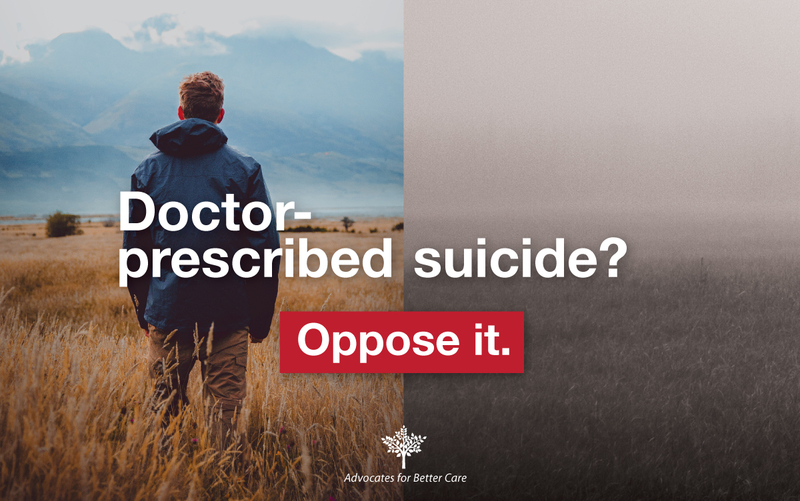 Doctor-prescribed suicide and euthanasia make medial bias harder to confront, and even provide an excuse to ignore or embrace it. We must face several critical questions if we accept taking life as an acceptable practice of medicine. In dealing with a patient a doctor or nurse explicitly or implicitly sees as unworthy of their effort or perhaps even life itself, it's tempting to just shut the patient's file and encourage cheap, lethal drugs as the easy choice. Studies show minority patients often have worse health outcomes. When deciding if a patient should be recommended for suicide, will our medical system treat patients of each race equally? Will patients feel confident that they can trust their caregivers when taking their life becomes a legal option? Women also have poorer health outcomes, will they be able to confidently trust their caregivers as well? Women attempt suicide more often than men. Men have much higher rates of successful suicide. 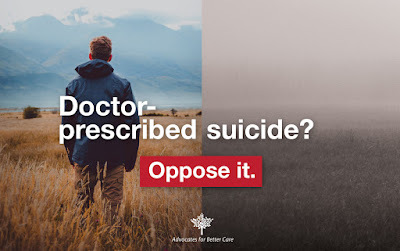 Will doctors be cognizant of the complex nature of suicide risk and be aware that many requests for suicide stem from depression or despair, or will they just encourage every patient to get it over with? Will they nudge a person from the brink of despair into the abyss, because it's easier than solving a complex problem? Based on how few people in states with legalized doctor-prescribed suicide receive counseling before receiving lethal doses of drugs, we can be confident about the answer to these questions. Will poor patients have insurance companies in their corner for expensive treatments, or will they be refused care and offered the cheapest treatment as the only alternative? Will wealthy patients be pressured into suicide by their family members, especially if those family members will financially gain from a quick death? We already know the disabled are marginalized by a society that often sees them as life unworthy of life. When ending their life becomes a viable option, their level of care will continue to suffer. Nobody should feel safe from medical bias. Treating difficult cases asks the most of our medical system, while encouraging suicide via lethal doses of drugs is a cheap and easy shortcut. 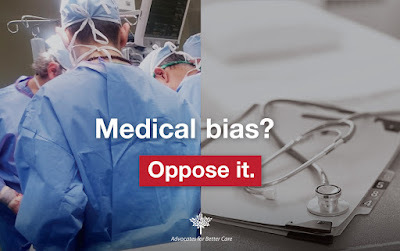 Which way helps us confront medical bias? Sadly, the people of Ireland voted to strip recognition of the equal right to life of children in the womb from their constitution on Friday, May 25. While most countries in Europe have stricter abortion laws than the United States, many of those are generally accepting of abortion. There are a few notable exceptions, including Poland and formerly Ireland. Despite their prolife history, including a public vote to add constitutional protection for children in the womb in 1983, the final tally showed 66.4% of Irish voters stripping away the right to life. If you look at the reasons most often used to justify abortions, they simply don't apply in Ireland. Irish women aren't dying in "back alley abortions." Despite their law essentially banning all elective abortions, Ireland has significantly better maternal mortality statistics than the United States. With our country's extremely permissive abortion laws, pregnant women are nearly twice as likely to die in the U.S. than in Ireland. The European Union's European Institute for Gender Equality shows Ireland to be above the European average in their measures of equality between the sexes. Ireland's score is 69.5, right behind the neighboring United Kingdom at 71.5. Which country scores the worst? Greece, at 50, with abortion there totally legal before 24 weeks. What about poverty? The Irish poverty rate is nearly half that of the United States. Their gross domestic product per capita is the envy of most of the world, more than $10,000 more per person than the United States or Sweden, making them one of the richest countries per person among large European countries. Overpopulation? Did Ireland need to "cull the herd," to put it bluntly? Ireland's population density is below countries like Iraq and Ukraine, and most other large European countries. Ireland has a higher birth rate than other European countries, but their total fertility rate is below two children per woman, meaning their population will shrink in the future. Looking at the facts, it seems Ireland is a better place to live than most everywhere else, including just about every country with permissive abortion laws. So, if abortion is a necessary evil, where is the necessity? Well, there is no "need." Ireland didn't need abortion to thrive; they are doing just fine without it. So, why did Ireland want to legalize abortion? The unique history of Ireland and the Catholic Church has led many Irish citizens to become resentful of anything that seems remotely Catholic. By voting for abortion, many voters thumbed their nose at the Catholic Church. Ireland wanted to join the European club. Most countries considered progressive allow abortion, so many voters thought it was time for Ireland to "get with the program." For years international institutions pressured Ireland to remove legal protection for children in the womb. Irish voters bought the talking points. Even though the statistics show Irish women are doing as well or better than their European sisters in other nations, and that Ireland's abortion ban isn't killing women, they still bought into the rhetoric that abortion is somehow a necessary evil, even though Ireland was the strongest example that proved that it wasn't. There were celebrations in the streets as Ireland voted to allow the brutal killing of children in the womb. Why do these children need to die? Purely out of spite and envy, it seems. Ireland will not be a better place by taking their lives of their own sons and daughters; abortion is a chosen evil, not a necessary evil. Look to Poland as the next major target of the international abortion industry. After restoring protection for unborn children in the wake of the fall of the Soviet Union, Poland has also proved than abortion is not a necessary evil, and their country has growing prolife views. Will they weather the storm of those obsessed with bringing death to their nation's children? The Right to Life of Michigan Educational Fund has developed a series of four new 3-minute films for our continued multicultural outreach efforts. In our "Still on that Journey " series, prolife advocate Christina Marie Bennett, herself almost aborted, explores feminism, black history, and the barriers that often exist between the mainstream prolife movement and the African American community. The films were produced by artist film studio Minus Red and award-winning director Jim Hanon, who has done such an excellent job with many of our other ads. Christina will be speaking at our annual Conference on September 27. Save the date so you can hear more from her! Watch a 30-second preview of the short films below. Visit our YouTube Channel to see all four short films! This is the second in a five-part series contrasting the ways our society could handle end-of-life care moving forward. The right to die is an odd concept. Everyone will inevitably die. Many people fear what sort of condition they may be when they are older or suffering from a terminal disease. Some people express that fear in these exact words: "I don't want to be hooked up to all of those machines." Patients certainly have a right to refuse unwanted medical treatment. But when people speak of the "right to die," they don't mean allowing someone at the end of life to let life take its natural course. People have had that right for a long time, even before the advent of modern palliative care and adequate pain control. 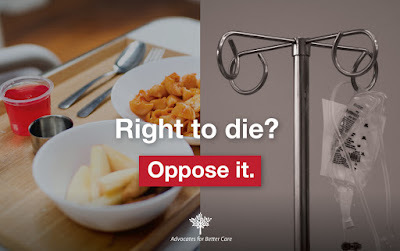 No, the "right to die" means euthanasia or suicide: the right to kill a suffering person or to kill oneself. Autonomy is given as the reason we need to have a "right to die," but embracing a "right to die" quickly ends with sacrificing patient autonomy. "I don't want to be hooked up to all of those machines" turns into, "You shouldn't be hooked up to all of those machines." It's a slippery slope. Some accuse people who refuse to embrace euthanasia of committing a logical fallacy by saying it's a slippery slope. It's not a fallacy, however, and real world experience backs up the simple observation that people will often take the easy way out instead of the right way through a problem. 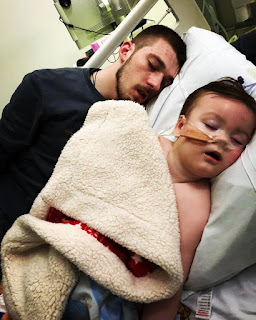 The Alfie Evans case is a prime example. Courts in Britain thought that death was preferable to Alfie living, despite his loving parents' decision to let his life continue with palliative care. The court ordered he must die now, because of his "quality of life." Alfie's autonomy, as expressed and protected by his parents? Ruled irrelevant, not in his best interest, in the opinion of a judge who never has to visit Alfie's grave. In countries that have embraced a legalized "right to die," a "duty to die" is quickly taking hold. In the Netherlands and Belgium, involuntary euthanasia—we call that "murder" here—is a significant proportion of euthanasia deaths. Efforts to prosecute doctors who decide to kill their patients—for their own good they say—fail. The autonomy of patients who want to live but are killed anyway? Unprotected, of little value. Here in Michigan, we know of cases where patients who request medical treatments have them denied in secret and have secret orders placed into their charts, because the doctors believe the patient is better off dead. Imagine the horror of learning a hospital has placed a do-not-resuscitate order in your file, even though you expressed your wishes for life-saving care. What can you do when your life depends on those who think you need to die? The autonomy of those with the will to live? Not just ignored, but undermined in secret. As we pointed out in part one, what happens when health insurance costs combine with a "right to die"? Patients find themselves being encouraged to exercise their cheaper "right to die" than their right to life. The autonomy to choose your own medical care? Rejected, some rights are apparently better than others (and cheaper). A society that protects patient autonomy and gives them the compassionate care they deserve simply cannot be a society that embraces suicide or killing as a solution for the sick and disabled. They don't go together, today or in the future. Caring for the sick and disabled can be hard and places demands on the healthy and able. It's cheap and easy to lethally inject someone or give them a lethal dose of drugs. The "right to die" gives moral window-dressing to taking the easy road at the expense of the good road. Patients deserve protection, from food and water to the right to refuse unwanted medical treatment. Killing patients isn’t a right, however, it’s wrong.